Tapas-or small plates-are now a hot trend in modern food culture. 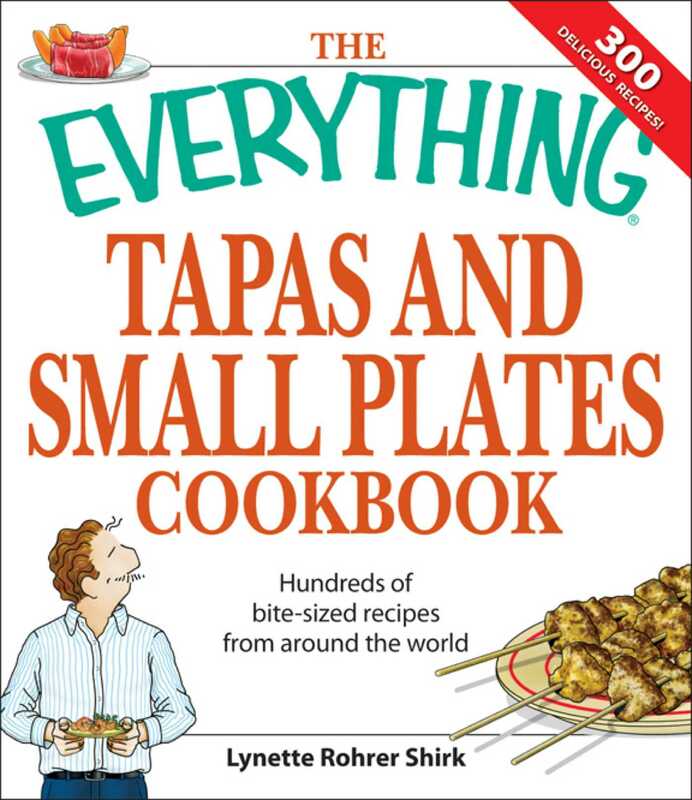 The Everything Tapas and Small Plates Cookbook gathers together 300 of the very best small plate recipes from around the world. From the Pacific Rim to Europe and the Mediterranean, our expert, Chef Lynette Rohrer Shirk, will lead the way. Her easy-to-prepare recipes are sure to entice consumers eager to wow a crowd at a cocktail party or add much needed interest to a quiet dinner at home. With The Everything Tapas and Small Plates Cookbook readers can travel the world - one bite at a time!